Everything you experience as solid and "real" is a vibration of energy - held, or locked in place, by belief systems. If, for a moment, you could set aside all mental programs about your reality, you would experience an entirely different perspective of what you call reality. We would like you to receive the idea that there are several realities, several outcomes, several parallel realities that could always manifest. . . You and others are broadcasting energy in the form of your thoughts, your emotions, and your beliefs at all times. As you send the energy forth, several realities are always possible. The reality that manifests is the one on which you have focused more of your energy. You have a television in your home. Even though it is turned off at this time, you could simply activate it and there would be a program or news or movie... Your brain is much like the TV; you can switch the channels. You can find a memory of the past that invokes emotions, or you can review a channel of your worries, or you can envision and get a sense of your possible futures. We are encouraging you to. 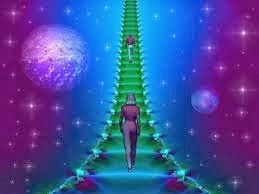 . . embrace the countless realities that are only a frequency, a vibration away.